Manuel is making a limited edition shaving soap to commemorate the 10th Anniversary of BullGoose Shaving Supplies. I gave Manuel some general guidelines and then gave him creative freedom to create the scent. I can hardly wait to see what he has come up with. In any case, the soaps are ready and I should have them in the near future. Consider this a teaser. This will undoubtedly be an outstanding LE. Manuel always makes great soap with very unique scent profiles. that this will be a magnificent citrus surprise. This is fabulous!! Can't wait. Would be great if he also did a matching balm! (04-06-2019, 02:23 PM)boilerphan Wrote: This is fabulous!! Can't wait. Would be great if he also did a matching balm! Manuel has been extremely busy lately so, I was hesitant to ask. But, since it is your 10th anniversary, I'm sure he would be game! He does produce one of the best balms. This soap has just been added to my "must have" list. Awesome! Looking forward to this soap. Btw- congrats, Phil! I know the soap will be great, but what a fantastic looking label! Congratulations, Phil. all the best and 10 X 10 more. love all the celebratory items! Looking forward to it, Phil! Phil, will this offering be vegan or tallow? Thank you everyone. I am really looking forward to this soap. For those interested, the essential oils used in the scent are bergamot, pepper, lime, lavender, cedar, sandalwood, sage, vetiver and benzoin. (04-08-2019, 09:11 AM)bullgoose Wrote: Thank you everyone. I am really looking forward to this soap. For those interested, the essential oils used in the scent are bergamot, pepper, lime, lavender, cedar, sandalwood, sage, vetiver and benzoin. Sounds like another winning scent from Manuel, Phil. If only a tin could fall out the box before heading to California. 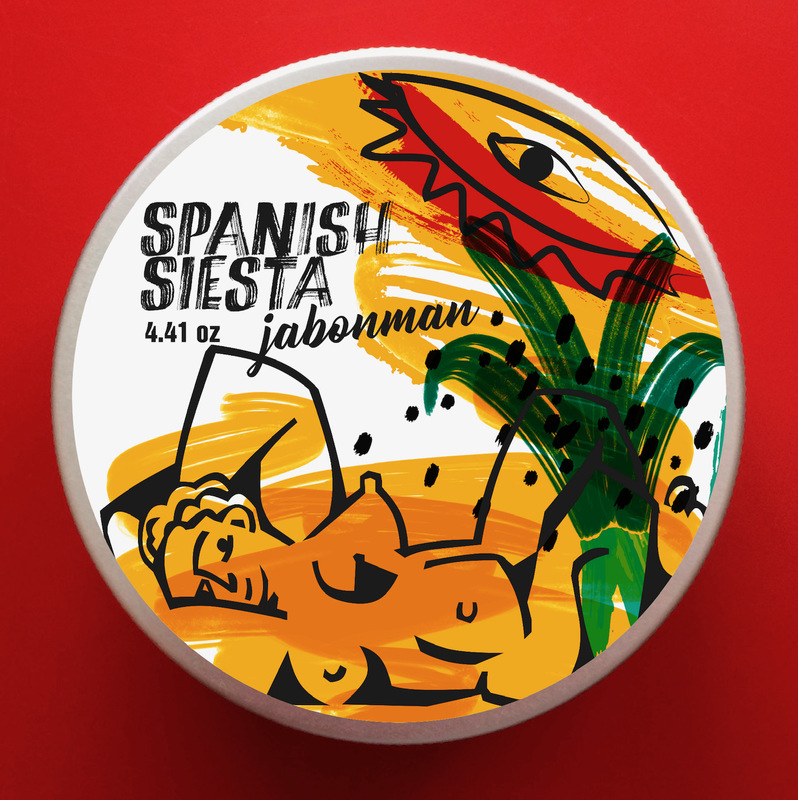 Taking a siesta in the buff? What's this lid rated? Manuel makes excellent shaving soaps that have not failed to please.